What are some of the highlights that we will see at 1-54 London? In the courtyard at Somerset House we will have a 20-foot high “Meditation Tree” by Sudanese artist Ibrahim El-Salahi. I cannot wait to see it. He has not worked before in such a big scale. 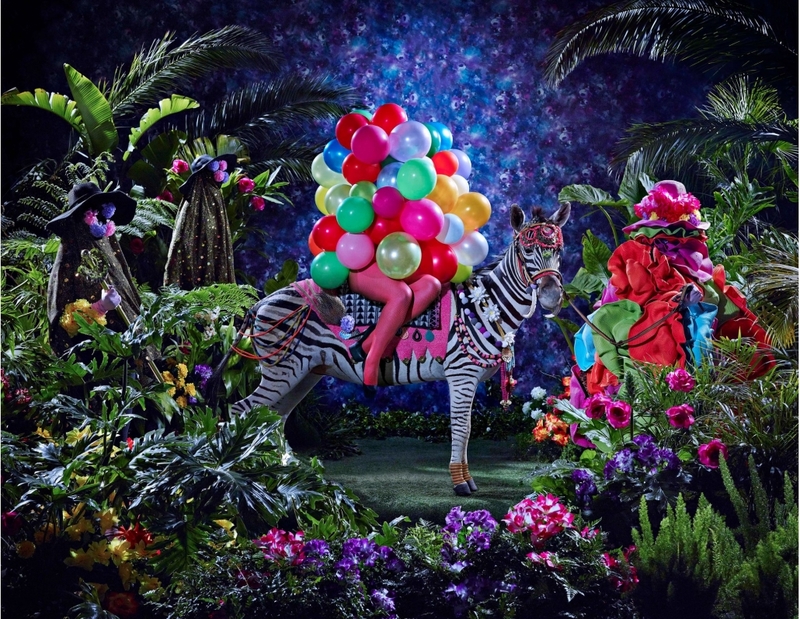 The other amazing things we have been working on are an exhibition in collaboration with Somerset House, a solo show of South African artist Athi-Patra Ruga called “Of Gods, Rainbows and Omissions,” which will run until Jan. 7. Also, the London-based The Gallery of Everything will be presenting an installation of newly discovered works by Haitian artist Robert Saint-Brice, which is part of a three-venue project called “Art + Revolution in Haiti,” highlighting Haitian artists, with exhibitions also being held at Frieze Masters and The Gallery of Everything. Five years ago would you ever have guessed that your fair would have expanded to include annual editions in New York and Marrakesh as well? Definitely not in the first year. That first year it was a trial. I just hoped the artwork would get to the city on time and the galleries would do well because it was quite an investment for them. At the end of the fair I knew we would do it again and I had already so many requests from galleries who had not been in the fair but came to see it so I knew it was going to be bigger. At the end of the second year, I had a clear vision for New York. With an African fair I was not sure about the location but being in Africa was part of my initial plan. Why was it important for you to have an art fair focused on African contemporary art? Before the fair was launched there seemed to not be a lot of focus on contemporary African art. There were few galleries in London and around the world that I could call on in terms of institutions. It is not what we see today. In 2011, around the same time I started investigating a fair, the Tate committed to adding to their collection and it marked a certain milestone in terms of what was happening. Between 2013 and now, we have had a chance to see so many new galleries appear on the African continent, in Europe and North America representing more and more African artists. The scene has changed and the interest is stronger every year. It has been interesting to see that shift. Where would you say 1-54 fits in the art fair world? In London I have seen a shift. We are really a part of the art scene where a lot of people going to Frieze are also here for 1-54. And I think we are also attractive to people who want to discover the new and want to specifically buy contemporary African art. Where we find it difficult is still the New York market because it is quite new and I manage it from London. I want different museums to all be keen to come and check out 1-54 and there are so many important American collectors. But I know also there is limitation because it is quite costly for galleries coming from Africa to go to New York. So there are different variables that I will always have to take into consideration and it is not easy to take part in three fairs for all the galleries. So it is interesting to see how the galleries are going to position themselves over the next five years. Obviously different galleries go to different fairs but how else are the fairs different from each other? So that is a 100 percent different feeling. And La Mamounia is luxurious and the location itself became a meeting point, where people would meet over breakfast or in the bar or the garden, discussing art. It was a wonderful meeting point to mingle and talk about art. Because of a number of reasons, like poor infrastructure for the arts in many countries in Africa, 1-54 is a great opportunity for African artists to get their work seen abroad and something important to put on their résumés. And that stuck with me. The catalog I started doing from 2013 is more of a reference book for the artists rather than a gallery reference like most of the other fairs. In our catalog, each of our artists has a page and then it lists who is representing them.